Tea is something that I have become increasingly passionate about of late. For most of my life I only drank peppermint tea but there's a whole world of different blends to try out there. Over the past few months I've become a fully-fledged tea addict. I can't start my day without some matcha or lady grey & I can't go to bed without a cup of rooibos. Some of my favourite tea brands include Twinings, teapigs & Bluebird Tea Co. They've all created some amazing flavour combinations & I think it's incredible that I can drink tea that tastes exactly like birthday cake or mint choc chip ice cream! As well as being a delicious beverage, tea can also have many health benefits. Teatoxes continue to rise in popularity but you don't have to drink something that will wreak havoc on your bowels in order to improve your wellbeing. Teami Blends recently got in touch & asked if I would like to try out one of their loose leaf teas. They currently offer six unique blends of health-based tea which all have certain effects on the body. These include Teami Alive, Teami Relax, Teami Skinny, Teami Colon Cleanse & Teami Profit. As I could always do with a bit more energy I decided to go for their Teami Energy blend. 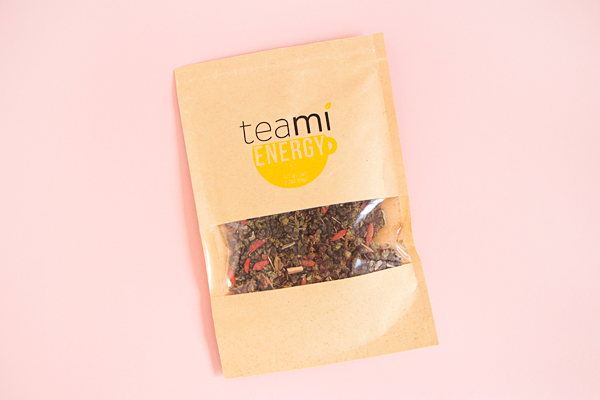 The Teami Energy* tea is made from a glorious blend of Oolong, Yerba Mate, Ginseng, Lemon Grass, Peppermint Leaf, Goji Berry & Rhodiola Rosea. The ingredients are all natural & rich in antioxidants. They also contain Vitamin A, B complex, C, D, E, Potassium & Magnesium. As the name suggests, this tea was developed to help you feel more energised & awake. I love drinking it first thing in the morning & just before that afternoon slump. It really helps me to focus on my work & get things done. I've found that it helps to push me a little bit further when I go to the gym too. If you're a coffee addict you might want to check this out as it will give you a natural boost throughout the day without keeping you up all night. Herbals teas aren't addictive like caffeine so you won't become dependant on it. Some of the other health benefits include boosting your immune system, improving mental alertness, aiding digestion, suppressing cravings, increasing concentration, enhancing productivity & raising cardiovascular endurance. Tea can do so many things to enhance our wellbeing. Even the ritual of making tea is a relaxing process & can be an important part of self-care. But for tea to be truly enjoyable it has to taste good too. Teami Energy has a very strong herbal taste. 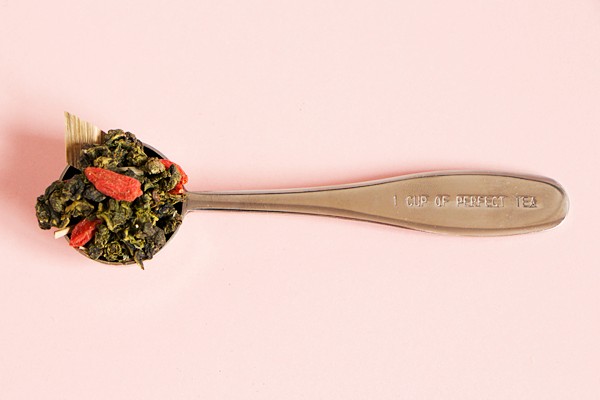 One of the reasons I chose it was because I love the flavour of oolong & yerba mate. It very much reminds me of the tea you get in Chinese restaurants. The peppermint leaves give it a nice refreshing lift. I think it tastes delicious by itself but if herbal teas aren't your thing you can sweeten it up by adding a bit of honey or lemon. When I first heard of Teami Blends it wasn't actually because of their teas. 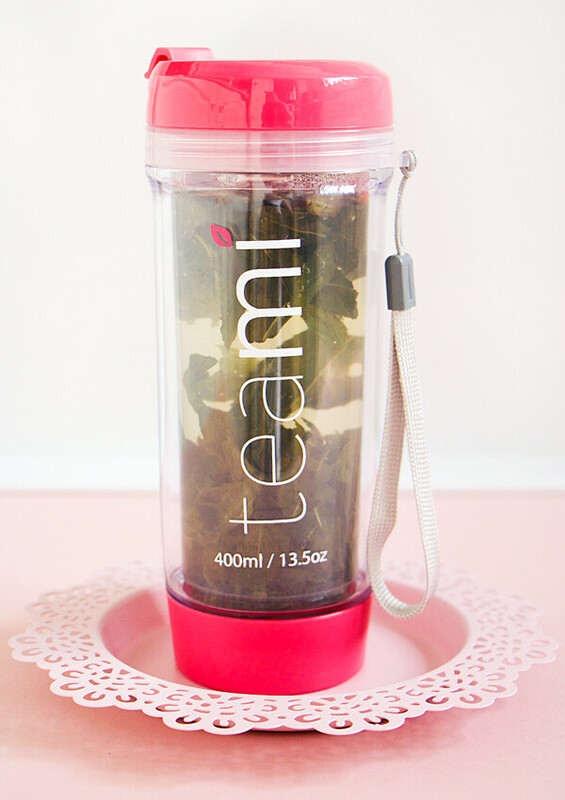 A few weeks before they contacted me I had spotted their Teami Tea Tumbler on Facebook & immediately snapped one up. I've recently gotten into brewing loose leaf tea & I've been trying out a few different tea making accessories. I did have two loose leaf teapots but they both smashed so I ended up just placing the infuser baskets from them directly into my cup. I'd say that this is the easiest way to brew tea but I hated cleaning all the tiny leaves out of the mesh baskets as they would always get stuck in them. This bottle seemed like the perfect solution & I'm completely obsessed with it! 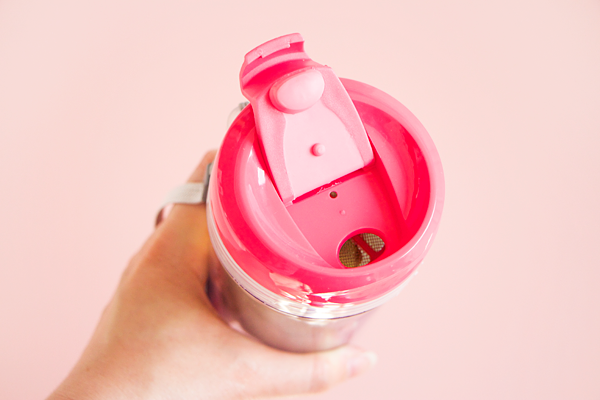 The 400ml leakproof tea tumbler allows you to brew your tea & drink it whilst you're on-the-go. You simply remove the lid & mesh insert, place a teaspoon of leaves into the cup & fill it up with boiled water. 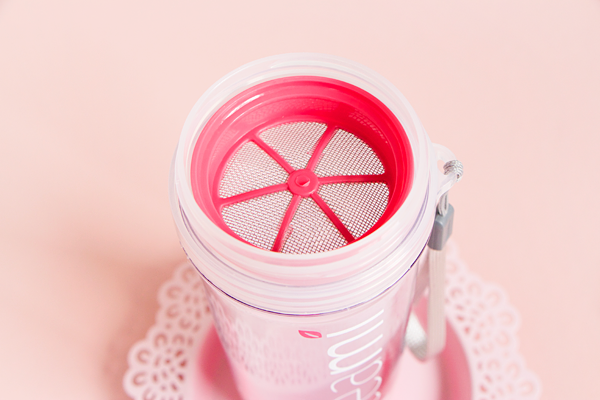 Then you just pop the mesh insert & lid back on before allowing your tea to steep for a few minutes. It features double layered walls which keeps hot drinks hot without burning your fingers & cold drinks cold without any condensation. It's made from BPA-free plastic so it's completely safe to drink from & there's no danger of me smashing it like my ill-fated teapots! The mesh insert works extremely well & prevents any particles from getting in your mouth. It's also super easy to clean which encourages me to use it even when I'm at home. The only real downside to it is that you can't remove the tea leaves once you've brewed the tea. Most teas will recommend that you steep them in boiled water for about 4 minutes before removing the leaves. I like to drink pretty strong tea so when I use teabags I often leave them in the cup. But for certain types of tea, green tea in particular, the flavour can become impaired if you steep it for too long. I really dislike the dry, bitter aftertaste you sometimes get from green tea so I always make sure I remove the teabag or leaves promptly. Teami Energy still tastes fantastic but I'd just be careful if you want to brew other teas in this cup with a shorter steeping time. Teami Blends' loose leaf teas are priced at £19.99 for a 65g pack but they have kindly given all of you a discount code! You can get 10% off by entering SPARKLY at the checkout. They also offer free delivery on all UK orders. Even if you don't particularly like the sound of the teas they have available I would highly recommend getting one of their tea tumblers. It will revolutionise the way you make loose leaf tea forever! Have you tried Teami Blends before? What is your favourite tea? Vintage fashion is something that I have always loved to look at but I've never really felt that I could pull it off myself. I used to spend hours trawling through vintage stores in London but it was rare that I ever came away with anything other than accessories. 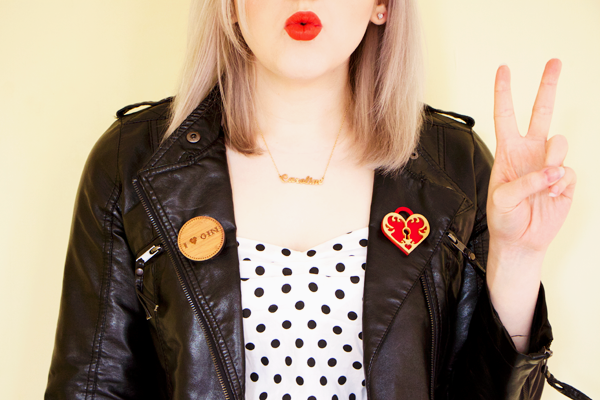 My favourite eras for fashion are the 1950's (rockabilly), 60's (mod) & 80's (new romantic). It's such a shame that our current fashion styles will never be remembered with the same fondness that we have for past decades. I never had much luck with finding real vintage clothing but luckily there are now quite a few clothing brands that take inspiration from these old styles & make vintage fashion accessible to everyone. 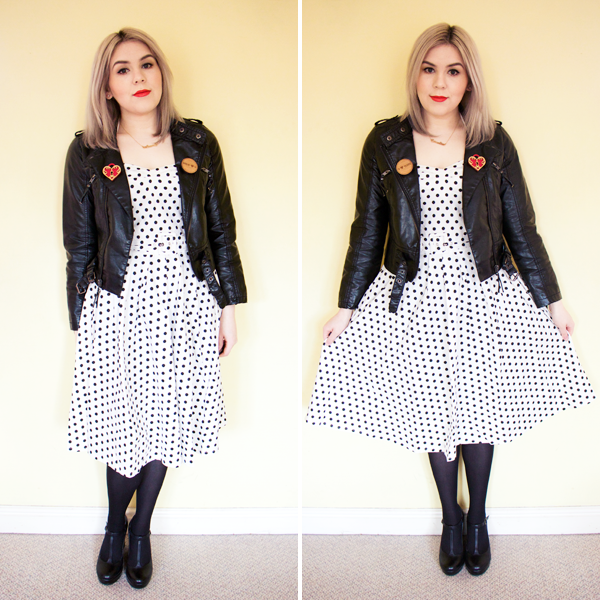 Dolly & Dotty specialise in vintage inspired clothing with a modern flattering fit. Their range of dresses is insane with tons of different retro styles in every colour & pattern you could possibly imagine. Their clothing comes in size 6-24 which is lovely to see, especially from a smaller brand. All of their dresses are designed in Brighton by their in-house design team. They kindly offered to send me one of their dresses & I figured this would be the ideal time to see if I could actually rock a 1950's swing dress. 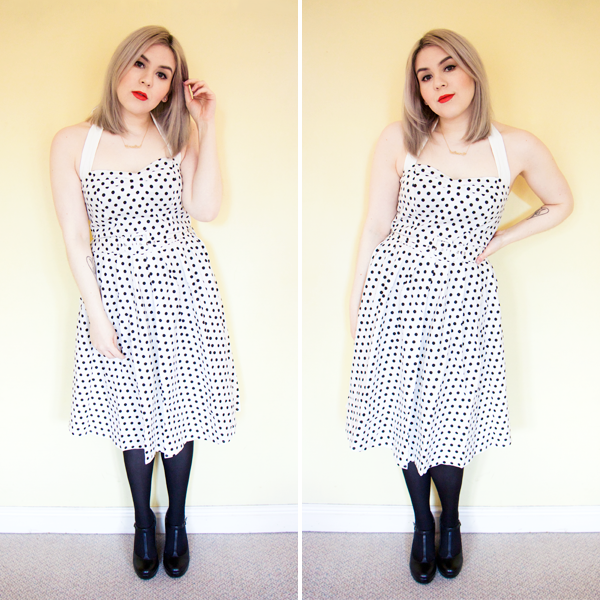 This is the Sophie rockabilly 1950's style dress in white with black polka dots. They don't seem to do this exact colour way anymore but you can get it with a black belt & halter neck tie instead. 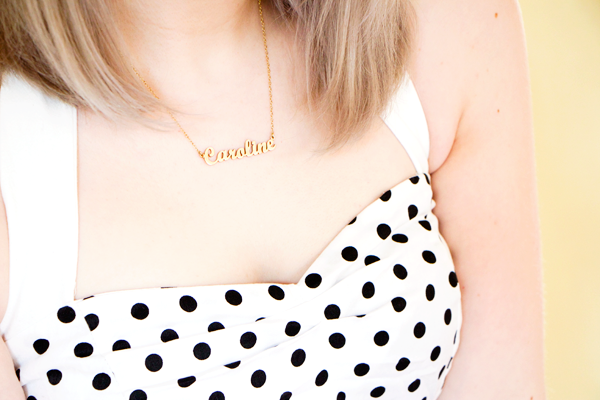 This dress is unlike anything I've ever worn before so I wasn't quite sure how to style it. I decided to wear it with my Primark leather jacket & some T-bar wedges. I actually took these photos a little while ago so tights were definitely needed that day but it does look better with bare legs. It'll be perfect for the Summertime! This retro dress is made from soft cotton, features an elasticated back & fastens with a concealed zip. It's a little bit too long for my taste as I think this style makes me look shorter than I really am even though I'm wearing heels. Plus I like to show off my legs! I either need to get the hem taken up a bit or buy a tulle petticoat to give this dress that perfect 50's silhouette. Otherwise the cut of this dress is very figure flattering & definitely enhances my curves. I absolutely adore the sweetheart neckline! I wish they were easier to find on the high street. I hardly ever wear halter neck tops but this feels very comfortable & the tie doesn't come undone throughout the day. The Sophie dress is so beautiful that I didn't feel overly self-conscious about exposing my arms & back for once! No 1950's vintage look would be complete without some winged eyeliner & red lipstick. 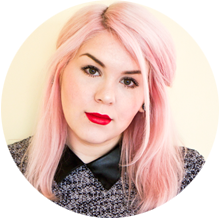 I'm wearing Magnetic Melon* by Saturated Colour which is super bright & makes me feel fabulous! 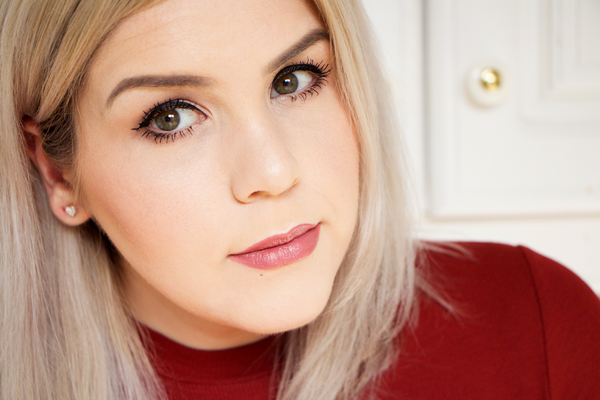 The Vichy Dermablend Foundation is one product that I've been dying to try for years now. It offers unrivalled coverage making spots, scars, hyperpigmentation & even tattoos virtually disappear. A godsend for when you're having a bad skin day! However the range of shades available left something to be desired. 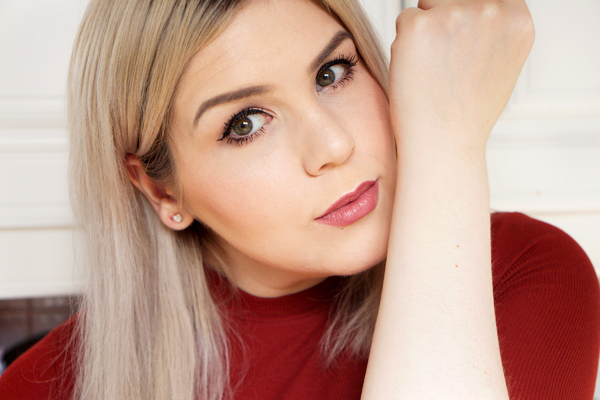 I often struggle to find foundations that are light enough for my pale skin as it is so I had no chance in hell of being able to use the fairest shade in this particular foundation which previously was Opal. 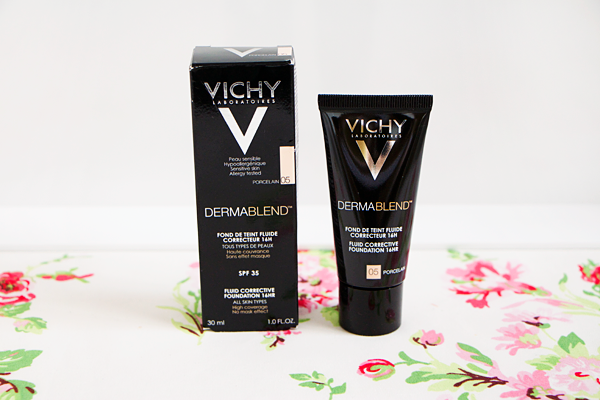 Last year Vichy finally added a lighter shade to the Dermablend range called Porcelain. I was so excited to try it out as I generally do prefer full coverage foundations & have heard so many wonderful things about this base product. As soon as I swatched it on my hand I was left feeling bitterly disappointed. By no stretch of the imagination can this colour be considered pale. Not by my standards anyway! Although lighter than Opal, Porcelain is still very warm & orange looking. It kinda looks okay when first applied but it oxidises within minutes. I literally look like I've fake tanned my skin. Sometimes I can get away with wearing the wrong colour by thoroughly blending the foundation down my neck but Vichy Dermablend is so high coverage that it just looks odd on me. I mean all you have to do is compare my face to my arm in the last picture! Bad colour match aside, I do really like this foundation. Dermablend is ideal for use on all skin types including the most sensitive & acne-prone skin. As a non-comedogenic & fragrance-free foundation it is able to perfect the skin without causing further irritation. I've already mentioned the amazing coverage but one thing that makes Dermablend stand out from other full coverage foundations is that it never looks like a mask on the skin. Despite the thick texture of this foundation it doesn't look like I've plastered my face with makeup & it doesn't feel too heavy either. It covers my post-blemish scarring, freckles, moles & redness without any trouble. I only need to add a bit of concealer underneath my eyes to brighten up the area. Once set in place it lasts all day long without the need for touchups. It smooths over pores & imperfections, making the skin look flawless. I've found that it can cling to drier patches but if you use a good moisturiser & primer with it this shouldn't be an issue. Makeup doesn't tend to provide adequate sun protection but Dermablend features SPF 35 which is frankly outstanding. Just bear in mind that it'll give you some pretty bad ghost face with flash photography! It's such a shame that Porcelain wasn't light enough for me. I can only hope that Vichy continue to extend the range of colours available in the Dermablend foundation as I would love to be able to use this in my everyday makeup routine. If you like glittery eye makeup looks but don't want to deal with messy pots of loose glitter then you need to try Urban Decay's Glitter Eyeliners. They do loads of cool bright colours but Midnight Cowboy is my absolute favourite. This liner is made from a clear base with yellow gold glitter particles. You can use it as an eyeliner or all over the eye for a glamourous sparkly look. I used to own this many years ago & it was part of my go-to night out makeup. I would apply gold eyeshadow all over my lid, do some thick black winged eyeliner & then go over the gold eyeshadow with the glitter liner. I just fancied recreating it so I bought a new tube & was soon reminded why I loved this eyeliner so much. It applies very smoothly & builds up well. Once applied it sets into place really quickly & lasts all night long. It's not a struggle to remove all the glitter either. These liners are such a quick & easy way to add a bit of sparkle to your eye makeup. They're so fun to use & look really pretty. 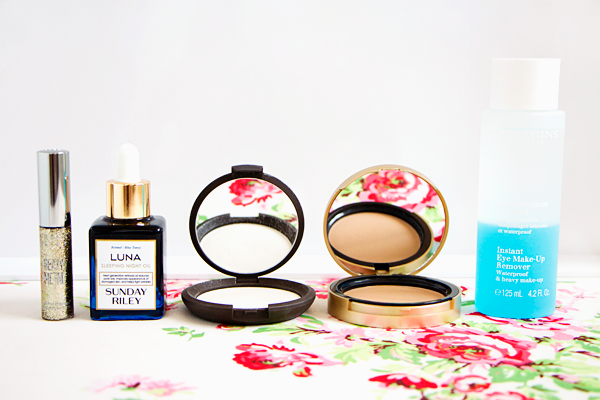 Sunday Riley's Luna Oil is a ridiculously expensive skincare product but I have to say that it was worth every penny I spent on it. I've been so desperate to find something that could fix my congested forehead and have tried countless BHAs, AHAs & retinol products during my search. Most of the things I used did improve the condition of my skin & thanks to them it's rare that I get proper spots anymore. But I still had persistent closed comedones & just a couple of months of using this retinol-infused oil at bedtime has cured all of my texture issues. My pores look smaller, my skin looks smoother & feels softer, my complexion looks bright & even toned and most importantly, my forehead doesn't look like a sheet of brail! Even though my once bumpy forehead is now as smooth as a peach, Luna Oil is something that I will continue to use in my skincare routine to ensure that my skin stays looking this good. Retinol also helps to keep wrinkles at bay so even if you're not prone to blemishes I would highly recommend using this oil as a preventative measure for ageing skin. Highlighters are probably my favourite makeup item & BECCA's Shimmering Skin Perfectors are some of the very best! I prefer to use powders over liquids & creams so I was keen to get my hands on their Pressed version of Pearl when it finally hit the UK a couple of months ago. 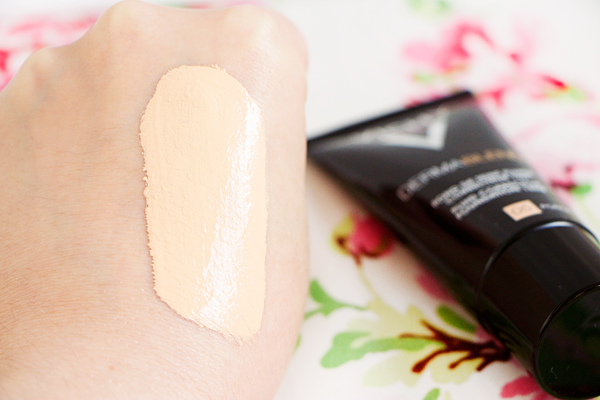 Despite having pale skin I rarely go for white highlighters as they look a bit too stark on the skin for my liking. NikkieTutorials & Jeffree Star convinced me otherwise as Pearl looked so bloody fantastic on them. I still think it looks a bit too light on me but I've found that if I layer it on top of something like Anastasia's So Hollywood or theBalm's Mary-Lou Manizer then it just adds a bit more oomph to those highlighters. I'm one of those people who wants their highlight to be visible from outer space so this really does the job! I adore the formula of BECCA's Pressed Shimmering Skin Perfectors. The powder feels so buttery & they almost melt into the skin for a truly stunning glow. Bronzer is something that I've avoided wearing for most of my life. 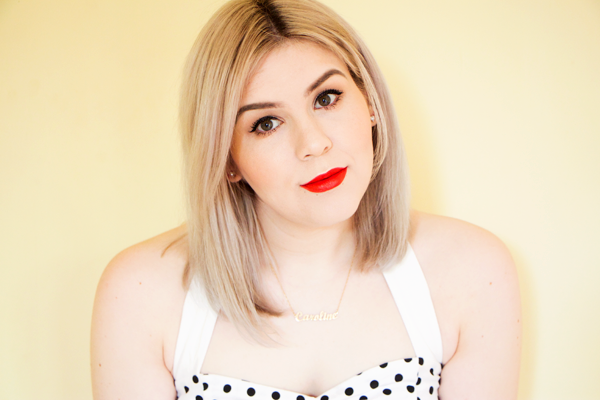 I like being a pale princess & I used to consider bronzer to be one step away from fake tan. Maybe it was just that pretty much all bronzers used to be dark & super orange that put me off them but nowadays I'm not averse to warming up my complexion. I started off with Soap & Glory's fabulous Solar Powder but then I heard so many people going on about the Too Faced Milk Chocolate Soleil Bronzer as the perfect bronzer for pale skin. This is the first Too Faced product that I've ever bought & I'm completely obsessed with it. The colour is spot on, the powder has a matte finish & it has a lovely chocolatey scent to boot. It just adds a little bit of definition to my face without looking muddy or dirty. I now use this bronzer every single day without fail & it applies beautifully with the Real Techniques Duo-fibre Face Brush. I have been buying an awful lot of matte liquid lipsticks lately. I love how long they last on my lips & that they don't transfer when eating, drinking or kissing. When I want to remove them at the end of the day, my regular oil cleanser does the job perfectly. However I'm currently working on some swatch posts of my Jeffree Star & Kylie Cosmetics lipsticks so I needed something that would allow me to change lip colour quickly without disturbing the rest of my makeup. Micellar water does bugger all here, an oil-based makeup remover is what you need. I decided to go for the Clarins Instant Eye Makeup Remover & it works so well! It makes light work of removing even super dark colours with minimal staining to your lips. Of course it also works for it's intended purpose of removing waterproof eye makeup. The liquid feels very gentle on the skin & it doesn't sting my eyes either. I regularly use the Isehan Kiss Me Heroine mascaras & although I love them, they are such a nightmare to remove. Now that I have this Clarins product it's so much easier to remove them & I don't have to scrub at my eyelashes with a muslin cloth anymore!